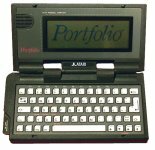 In 1989, the Portfolio was one of the first IBM PC compatible hand-held computers. 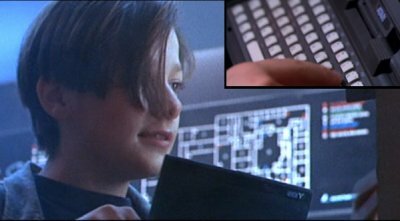 It came with a MS-DOS compatible operating system and a number of applications built into ROM. 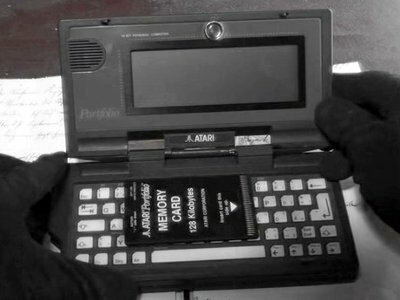 John Conner uses the Portfolio to hack an ATM and to break an electronic lock. Georg uses his Portfolio to video conference with his associates and inform them of his discoveries.